Fun, freestanding, kid-friendly foam case for lightweight, grippy protection. Fits iPad and iPad 2! Meet iGuy, the freestanding foam case for iPad and iPad 2. 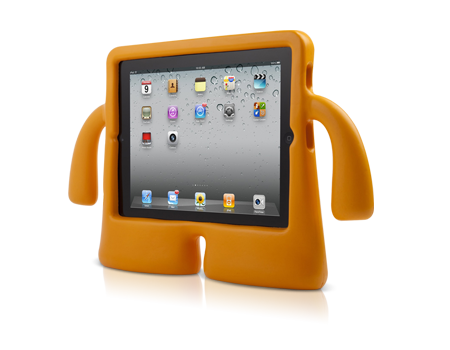 Every bit as protective as he is a blast to use, iGuy is the perfect iPad accessory for kids and grownups alike. Made of safe, non-toxic EVA foam, he's lightweight, easy to hold, and he can stand on his own two feet, even while holding up your iPad. He may look like he's all about fun, but his soft, squishy body disguises tons of tough, padded protection!